When you genuinely want to help someone, the questions you ask are different. Roy Street Group helps individual and family businesses with their complex real estate holdings. We are also leaders in development, consulting and project management here in Seattle. We also specialize in shoreline and trail-oriented development along the Burke-Gilman Trail. Whether you are a land owner looking to develop or sell your holdings, or a tenant in need of a new home – we are here to help. We have successfully relocated the headquarters of many of the Northwest’s finest companies. Sensitive family and trust issues dealt with empathy, flexibility, and strategic action. Informed decision making based on relevant prior industry experience, tiny details, up-to-date analytics, and project partner selection. 25+ years plus experience in simple to complex permitting expedition: including Master User Permits (MUP), State Environmental Policy Act (SEPA) permitting, Street Use permits, City surplus properties, and street/alley vacations. Analyzing capital needs, sources, and inefficiencies to unearth and examine all property financial decisions and pathways. Building a customized weighted decision matrix to provide objective evidence based ways of moving forward and informing a client centered deal structure. Utilizing a strong diverse network and managing multiple stakeholders to facilitate client success. This includes connections within City departments (incl. City Council, SDCI, SDOT, SPU, SCL, Parks, OED, etc. ), community groups (incl. neighborhood community councils, chambers of commerce, as well as groups such as Cascade Bicycle Club, Feet First, Downtown Seattle Association, etc.) and neighbors (both business and residential). 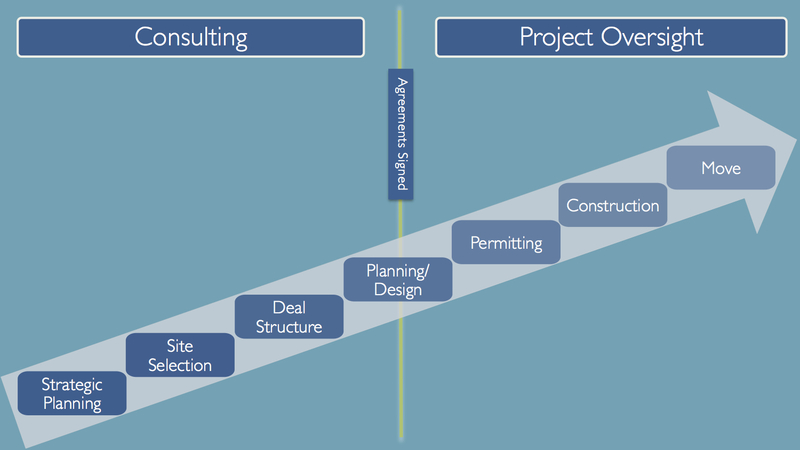 The following graphic illustrates Roy Street Group’s elements of the building development process.